Charities We Love: Charitable Giving at Ink Factory for Valentine's Day! At Ink Factory, it’s important for us to show our community some love and give back to those who need it. Every team member receives a cash allotment to donate to a charity of their choosing as part of their employee benefits. 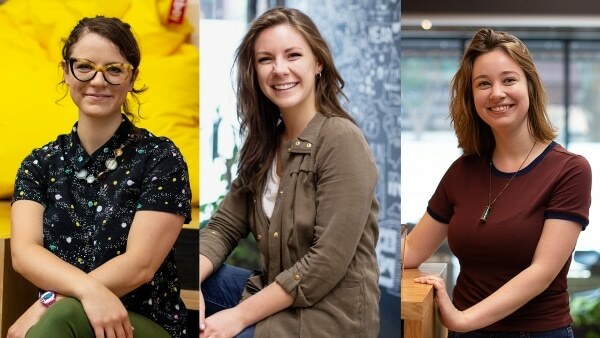 This Valentines Day we’re featuring five organizations our employees have chosen to show some love – and we hope you’re inspired to show them some love as well! I chose Ravenswood Community Services because I live in the area it serves. I love being part of my local community and hate the idea of anyone being hungry. From the RCS website: The RCS Food Pantry hosts an average of 250 pantry visits and enjoys the volunteer efforts of an average of 40 volunteers each week. Our wonderful corps of volunteers includes All Saints’ parishioners, neighbors, community members who want to reach out and be connected to the neighborhood in which they live, and community groups. RCS strives for nutritional balance in the food we provide, and offer a quart of milk and a fresh loaf of bread each week. We also assemble bags of already prepared foods for those who are without access to kitchen facilities. 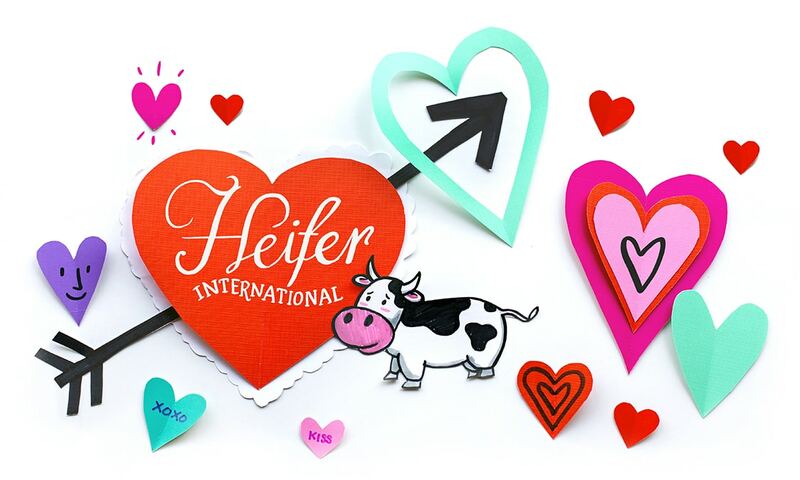 I chose Heifer International. Heifer gives families more than a cup of milk; It gives them an entire cow. By gifting livestock, crops, and all the training that comes along with them, Heifer allows global farmers to lift themselves and their communities from hunger and poverty. Their long-lasting impact has helped create sustainable, self-reliant, and dignified communities all over the globe. 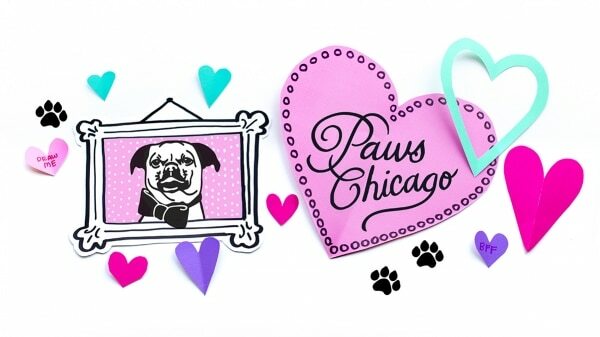 They also make it fun and easy to donate by selecting types of animals or impact. 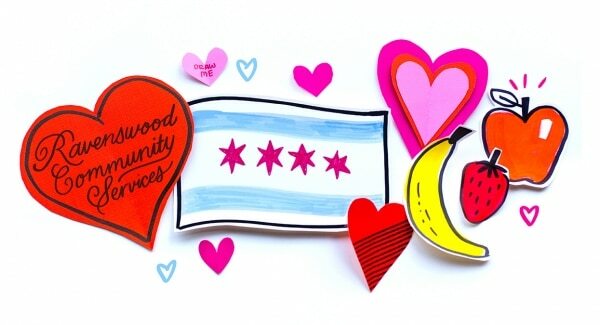 Ink Factory has created visual notes for our local food bank, the Greater Chicago Food Depository in the past, so I knew they were doing great and important work feeding the most vulnerable populations in Chicago. Everyone is entitled to enough food to eat, and since 1979, the Food Depository has made a daily impact on hunger across Cook County. Last year, the Food Depository distributed nearly 72 million pounds of food, 37% of which was fresh produce. Every day they distribute the equivalent of 164,000 meals. Teresa: It was important for me to donate to a program that helps some of our most vulnerable communities, so when I started researching I knew that I either wanted to donate to a program that helps children or a program that helps women. 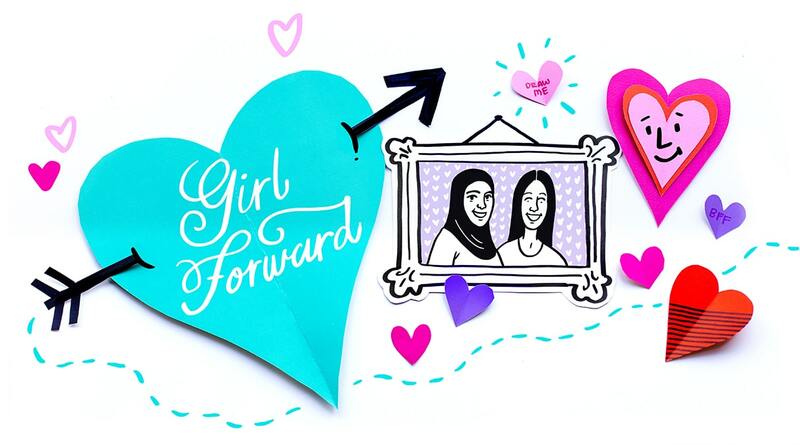 So imagine my excitement when I found GirlForward – a program dedicated to helping refugee girls who are resettling in the United States! As their website states, “Girls are especially vulnerable to violence, isolation, and being kept out of school” and girls who are coming to the United States “face huge challenges: poverty, language barrier, limited or disrupted education, isolation, and trauma.” After reading this I knew right away this was the organization I wanted to donate to and their process for donating was simple and fast! Ariana: One of the first talks I ever took visual notes for was about the Syrian refugee crisis. It was about how hard the transition is for people who are just trying to better their life and the lives of their family after being forced to flee their homes. It was especially alienating for the children, who were trying to go to school with large language and cultural barriers. 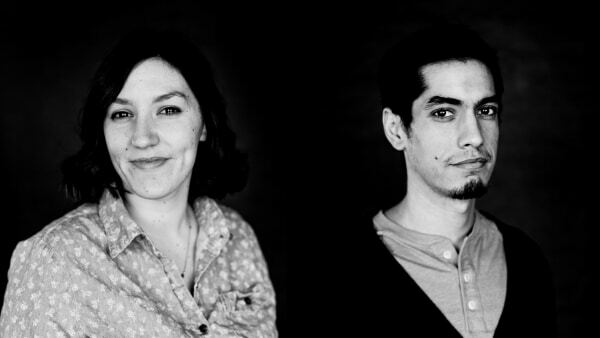 So, when I started researching, I knew that I wanted to find a non-profit who helped refugee children, and I wanted it to be local here in our Chicago community. GirlForward was a perfect find since they have a hands-on approach and a focus on education and wellness.